Her Majesty Queen Margrethe II of Denmark Unveils a New Portrait of Herself. 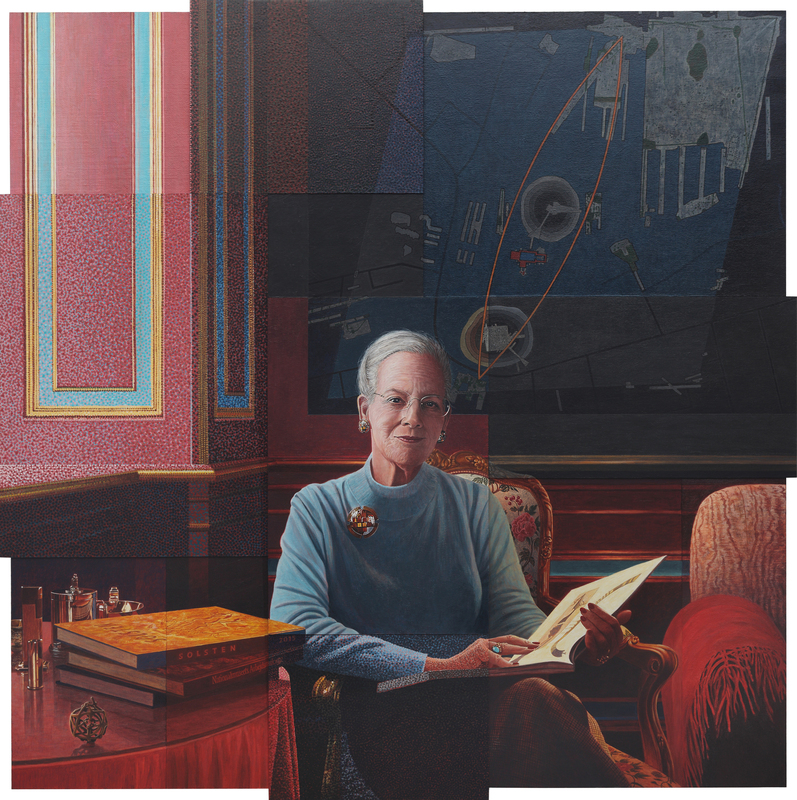 On Tuesday, April 14, 2015, Her Majesty Queen Margrethe II of Denmark unveiled yet another new portrait of herself at the famous Nationalmuseet in Copenhagen. 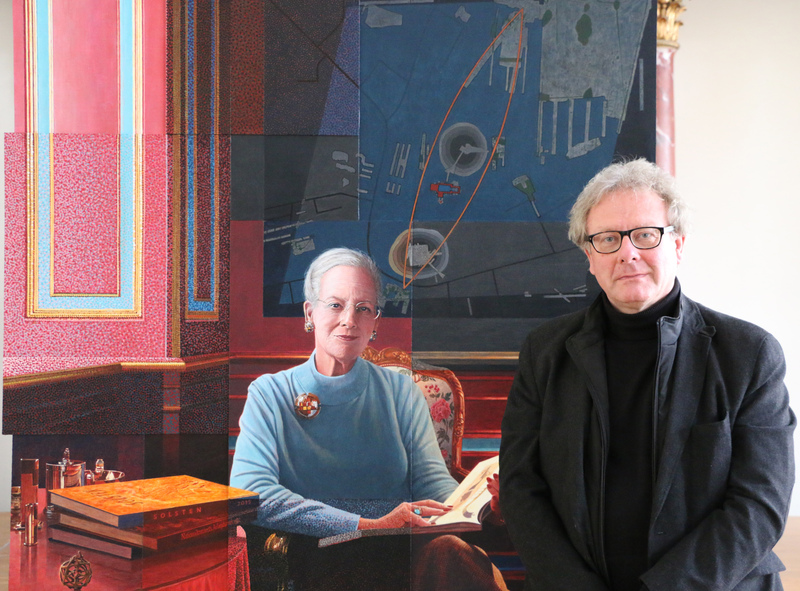 The interesting new painting entitled, At Skabe Billeder af Billeder, was created by Danish-born Barcelona-based artist, Mr. Lars Physant. “…embraces the Queen’s deep interest in archeology and links a special bond to Gorm the Old and Harald Bluetooth. Previous (VIDEO)HSH Princess Charlene of Monaco Visits the Collège Charles III. Next (VIDEO) Members of the Dutch Royal Family Attend the 2015 Koningsdagconcert.